LotLinx TURN 3.0 and SEM /AI/ have been awarded a 2019 AWA in the digital marketing category for innovation that continues to help dealers sell cars. CHICAGO – February 6, 2019 — LotLinx, the leading dealer inventory marketing technology company, announced today its outstanding recognition in the 2019 Automotive Website Awards. PCG Companies’ Brian Pasch founded the AWAs in 2008 to recognize the best vendors in automotive digital marketing. Since then, they have become a benchmark in the automotive industry for innovative products in technology, design, search marketing, and social media. 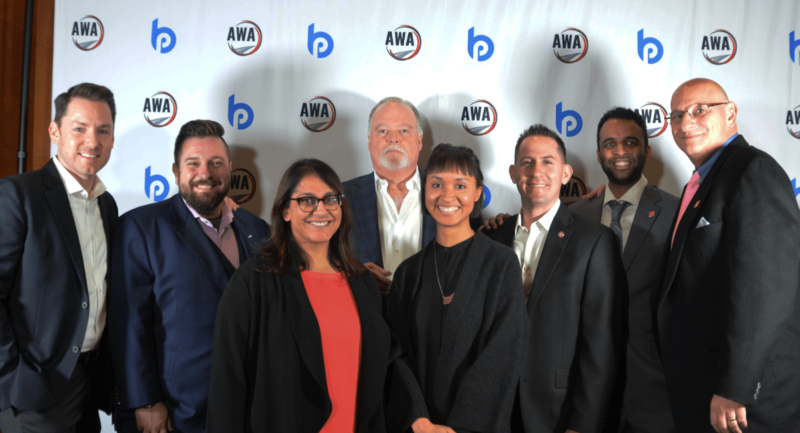 LotLinx TURN®, which uses artificial intelligence (AI) to match buyer demand to specific VINs according to each dealer’s vehicle sales goals, was recognized in AWA’s digital marketing category for being the first truly AI-powered inventory marketing platform in the industry. TURN 3.0’s machine-recommended campaigns target four core inventory strategies such as volume, risk, aged, and incentive/finance units – addressing the industry’s gap with a smart solution that aligns dealer sales objectives with their inventory marketing strategies. LotLinx’s most recent AI-powered search engine marketing (SEM) solution, SEM /AI/, was recognized as digital marketing’s “Rising Star.” The Rising Star award is given to products that demonstrate unparalleled potential to revolutionize the industry – and SEM /AI/ does just that. The solution, recently released at the NADA Show, continuously and dynamically optimizes inventory marketing campaigns to account for changing consumer and market trends, marketing each vehicle uniquely. SEM /AI/ saves up to 40+ hours of campaign management per month while doubling engagement and cutting costs in half. The AWAs took place the night prior to the start of the National Automotive Dealers Association Convention (NADA). The City Club of San Francisco hosted the award show which presented dozens of awards to the best website and technology products on the market for car dealers, with over 150 industry leaders in attendance. To learn how LotLinx’s range of groundbreaking products can help you reach your inventory and sales objectives, visit www.LotLinx.com for your inventory strategy session. LotLinx is the automotive industry leader in inventory marketing technology. Founded in 2012 and based out of Chicago, IL LotLinx uses a proprietary artificial intelligence platform to Sell Cars Smarter™ by aligning overall dealer sales objectives to inventory marketing strategies and tactics with unparalleled efficiency and precision. The company’s rapid growth has earned it the No. 1 spot on Crain’s Chicago Business’ 2018 Fast 50 list as well as a spot on the Auto Remarketing Power 300 for 2018. LotLinx is committed to advancing the frontier of automotive digital marketing to the direct benefit of the dealerships they serve. To learn more about LotLinx, please visit www.lotlinx.com.